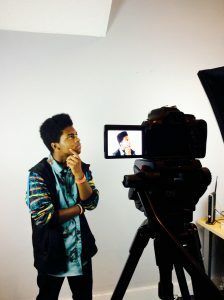 Youth ages 12+ are invited to participate in a free videomaking workshop presented by Spark Media Project on Saturday, August 13 from 12-4pm in the library’s Community Room. In the Video Poems workshop, youth will discuss poetry and the imagery it invokes, write an original poem and learn to interpret one of their own favorites. They’ll use film imagery, voice-overs, and Kinetic Typography to bring poetry to life. By the end of the class, participants will have their own animated poems! Experimental Film Workshop for Teens! Youth ages 12 and up are invited to participate in a free experimental filmmaking workshop presented by Spark Media Project on Saturday, July 30, from 12-4pm. Youth participants will learn about shots and angles and the process of filmmaking. They will get to experiment with sound, color, time and shot composition with an emphasis on the genre of experimental film. Space is limited and registration is required. To register for these workshops, please contact Spark Media Project at 845.485.4480 or register online at http://sparkmediaproject.org/registration/. Wondering what your children can do this Summer? Join us in the library’s Community Room on Saturday, May 21 from 1-4pm to meet representatives from local youth-serving organizations. From band camp to sailing, sports to computers, find out what’s available this summer for kids and teens at this summer program meet and greet. At the event, pick up a copy of the Summer Festival Guide — a booklet highlighting activities for children and teens in the area. The event will include light refreshments and free pen giveaways for the first 50 students that attend. And, just like that, readers – even those hard-to-reach boys, are hooked. 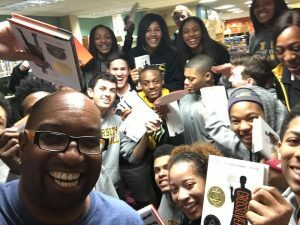 Kwame Alexander will be appearing at the Hudson Area Library, 51 N. 5th Street, in the Community Room on Friday, May 6 at 3:30pm. The event is free, open to the public. And, unlike most author readings, Alexander will be reading in his signature blend of fast-paced verse combined with sports lingo and rhythmic raps. – Not so far removed from the vocal styling heard on kids’ iPods or the Broadway stage in this year’s runaway hit, Hamilton. Alexander is a recipient of the 2015 Newbery Medal recognizing the year’s “most distinguished contribution to American literature for children” and the 2015 Coretta Scott King Award given annually to outstanding African American authors of books for children and young adults that demonstrate both an appreciation of African American culture and universal human values. The poet, educator and author has written 21 books, most recently “Booked” – this time featuring 12-year-old soccer player, Nick, standing up to a bully and trying to impress the girl of his dreams. FREE Moviemaking and Animation Workshops for Youth! Spark your creativity with digital media workshops at the Hudson Area Library! 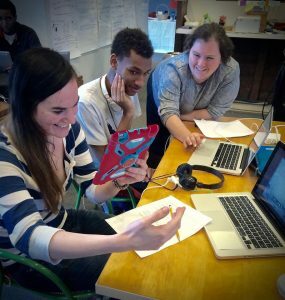 Our friends from Spark Media Project will be offering two free workshops at the library this summer – one a live-action, narrative videomaking workshop for teens, the other a stop-motion animation workshop for kids. Both workshops are free. Space is limited and registration is required. To register contact Spark Media Project at 845-485-4480. In this workshop, youth will learn the entire process of filmmaking including scripting, cinematography, and editing their own narrative short films. In this workshop, youth will learn the art of stop-motion animation to create a short animated video. 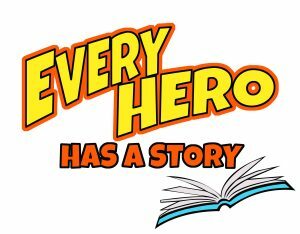 Participants will write the story, create the backgrounds and characters, use animation software, and record voiceovers and sound effects. Spark Media Project’s Mobile Media Lab is funded by NYSCA and the New York REDC. 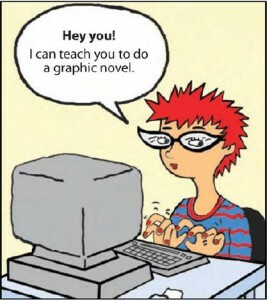 Tweens and teens ages 10-14 are invited to join graphic novelist, Barbara Slate, for a series of her critically acclaimed “You Can Do a Graphic Novel” workshops at the Hudson Area Library this summer. The free workshop series will run 1pm-2:30pm on Tuesdays and Thursdays from June 30 through July 23. Described by comic book legend Stan Lee as “titanically talented,” Slate will offer tips and instructions to participants as she leads youth participants through the creation of their own original comics. Topics covered will include tapping into the creative process, creating memorable characters, developing the plot, writing compelling dialogues, and laying out a successful graphic novel page. Bring your sketches, doodles, cartoons, or if you don’t have anything, just bring your enthusiasm for comic books! For more information or to register for this exciting program, contact us at 518-828-1792 or drop by the library office. This program is made possible in part with public funds from the Decentralization Program of the New York State Council on the Arts administered through the Community Arts Grants Program by the Greene County Council on the Arts. Register Today for Our Free Summer Programs for Kids! Join us this summer for one or more of our fabulous, free programs for kids and teens! Stories, crafts, special guests, book giveaways, and more. Keep track of your reading over the summer and you could be eligible to win some special prizes. Stop by to pick up your free reading log and to learn how it works. Register at the library or by calling 518-828-1792. 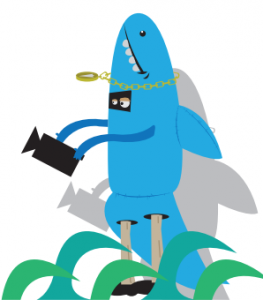 Battle of the Books is a regional book trivia contest for youth. All Hudson participants have the opportunity to participate in the Bound By Books radio show! Battle books will be supplied. Both workshops are led by Spark Media Project. To register contact Spark Media Project at 845-485-4480. Create your own comic! Make your own characters, dialogues, and story. Learn how to combine words and images in panels to tell a story. Led by Barbara Slate. Space is limited. We look forward to seeing you this summer at the Hudson Area Library! It’s time for back to school shopping, so don’t forget to pick up the most important school supply of all…a library card! A library card can give your children almost unlimited access to books for school projects and book reports, but that’s not all! Kids will love using Kidsport, a great site created by the Mid Hudson Library System especially for children from preschool to age 10 and their parents. Through Kidsport, kids can browse books in the Kid’s Catalog, get Homework Help, and even get a taste of community service in Kid Power Counts. For older children in junior or senior high, there is a separate Homework Help site. From here, students can study for high school and college entrance exams, such as the SAT, PSAT, ACT and more. Students with a library card will also have access to online encyclopedias and journals on subjects such as history, science and the arts. Some sites even come with video tutorials! Still not convinced that you need a card? Here’s 52 Ways To Use Your Library Card. In order to Get a Library Card, you will need to fill out a registration form at the library. Also, you will need to bring in a current photo ID and proof of residency (such as an envelope mailed to your current mailing address). Children under the age of 18 who want a library card must come with a parent or guardian who can meet the listed requirements. 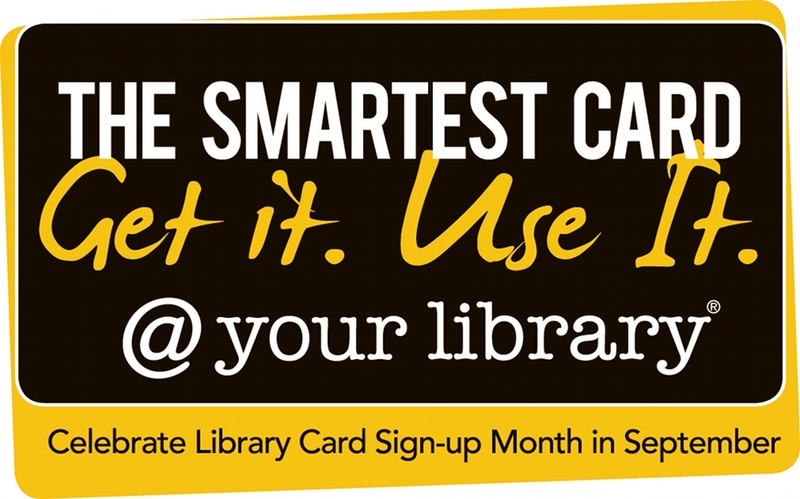 A library card is the smartest tool in your wallet, so be sure to sign yourself and your kids up for this great free resource!